I learned from a seasoned senior that a journalist ought to learn to fly solo, because one will not have the luxury of a companion all the time. 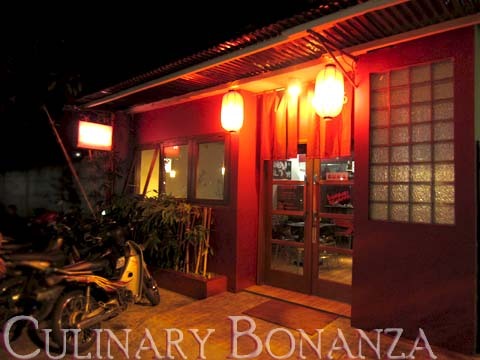 So one Saturday evening, I ventured to Melawai, to look for Gozaru Japanese Restaurant. 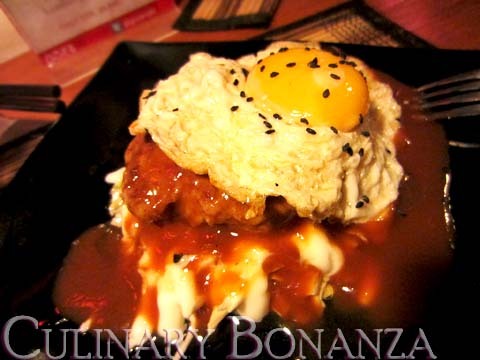 I have been craving for the Hambaagu, described as homemade Japanese style burger steak, for quite sometime, since I saw the photo on Twitter. The location It was pretty easy to find, just follow the map provided on Gozaru's Twitter page. Honestly, I didn't expect it to be located on such a less-passed lane, but the location is actually somewhat its own appeal. As I sat alone at the stools and looked outside the windows, the sight was very calm. There were no cars busily scurrying back and forth. The Hambaagu was well...appropriately portioned for solo diners like me. But I guess if you're a guy, you'd be screaming for a second helping! For that price, the Hambaagu comes served with rice, but I asked for without rice. I thought this would entitle me to some sort of discount, but turns out they still charged me the same price! Sandwiched between a half-cooked sunny-side-up fried egg and a bed of coleslaw (sauerkraut), the burger patty remained the highlight of my late meal. Unfortunately, the brown sauce was not much of a compliment, I'd rather have it without the brown sauce. 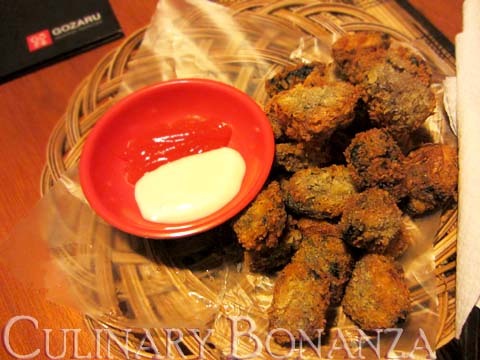 The mushroom katsu was simply: deep-fried breaded mushrooms. Quite generous amount of mushrooms for the price! Too bad the mayo sauce was distasteful, which ruined the whole thing. I actually ended up finishing the rest of them without dipping into any sauces. During my visit that night, there were only youths around my age who probably live in the neighbourhood of Melawai. I guess a place that charges between IDR 16,000 - 35,000 for the main dishes, while IDR 8,000 - 15,000 for the side dish, is aimed to attract this type of crowd. 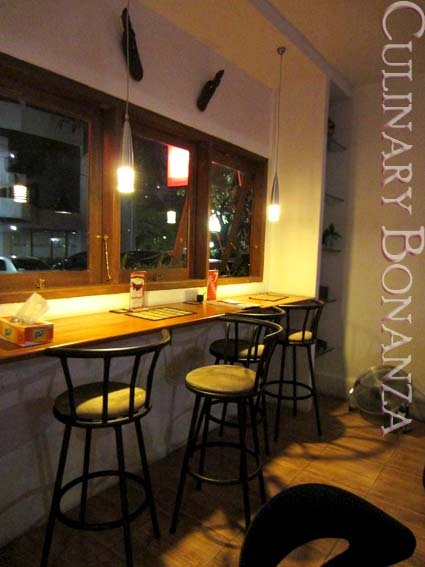 Besides the affordable price I'm sure those who smoke will find this place very comfy to chat, eat and smoke simultaneously. No offense to all smokers, but it's an ultimate turn off for me. ga kenalan langsung. temen gw punya temen haha..iya sate2an nya enak kok. kita waktu itu order sampe berapa piring tuh sambil ngobrol. yang kulit ayam nya itu enak.